Large Subway tiles online? Buy Budget Tiles from our large collection! Whether you are redecorating your kitchen, bathroom or any other room of your home, you will want to create a perfect, professional finish. Whereas paint or wallpaper was once the wall covering of choice, today, more people are choosing tiles as the ideal way to update their rooms. Bringing a contemporary, stylish touch to any space, large subway tiles are a great way to bring any space bang up to date. If you are tiling an expansive area, large subway tiles are the perfect solution. 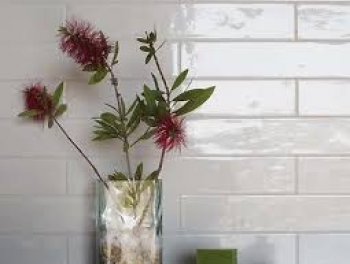 Bigger than a standard subway tile, they are the most economical and simple way to cover your walls. Budget large subway tiles are a cost effective way to give a sophisticated look to spacious kitchens or bathrooms, and with their timeless appeal, they work equally well in both classic or modern homes. We stock cheap large subway tiles in a choice of finishes and styles. Whether you are looking for budget large subway tiles that will fit seamlessly into a minimalist design scheme or whether you need cheap large subway tiles to complement a retro themed room, we have the perfect product to suit. 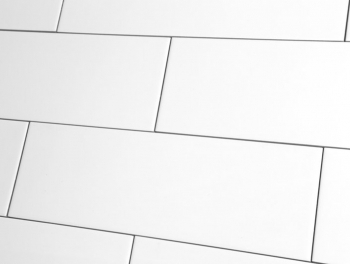 The simple, straight surface of our flat matt white large subway tiles creates a unique finish for your wall. Versatile enough to be used in a variety of ways from standard horizontal tiling to herringbone or brick bond techniques, these stylish tiles are perfect in modern kitchens or bathrooms, or can even be combined with a vintage style wallpaper for the ideal retro look. Give your room a classic transformation by choosing our antique white large metro tiles. Simple yet sophisticated, their glossy glaze with its aged look gives a hint of period appeal to any room, allowing them to blend perfectly with a vintage styled home. Visit Tiles Direct today and discover our range of cheap large subway tiles. We're sure that you will find the perfect large subway tiles for your project. Whatever look you are trying to create, let us help you achieve the ideal professional finish with cheap large subway tiles to suit every taste and every room of your home.